Morning, readers! Even though it’s getting cold out there, plenty of food trucks have warm dishes to keep you toasty. 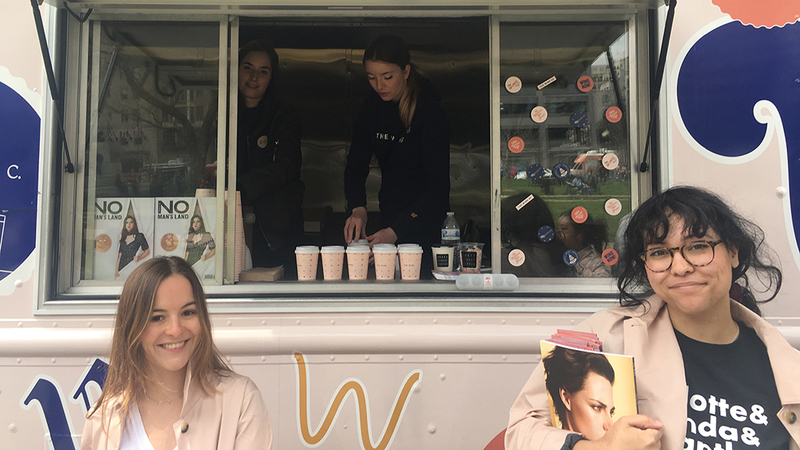 Try BBQ Bus’s popular chicken pot pie (go early, last week it sold out)—the Bus will make stops at L’Enfant and George Washington University. Meanwhile, TaKorean will be in Chinatown with special roasted pork tacos, and Sang on Wheels at Union Station is offering a free soup with every order. 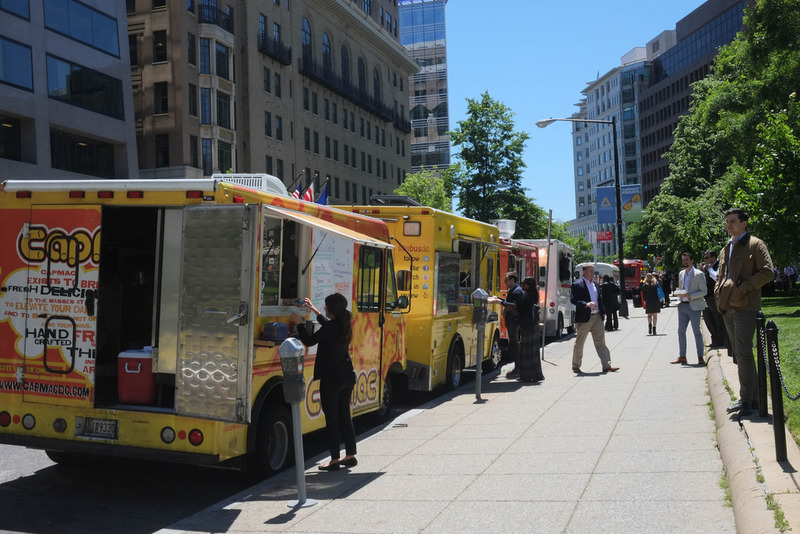 Farragut Square (17th and I sts., NW), where you’ll find the Cheesecake Truck, Eat Stix, Halal Gyro Plus, DC Shawarma, and Merlindia from Fojol Bros.
George Washington University (22nd and H sts., NW), where you’ll find BBQ Bus (second stop) and Benethiopia from Fojol Bros (second stop). L’Enfant (Sixth St. and Maryland Ave., SW), where you’ll find the Ficelle, Curbside Cupcake (Pinky 2’s second stop), Feelin Crabby, Cajunators, Best Burritos, and BBQ Bus (first stop). Metro Center (12th and G sts., NW), where you’ll find Sweet Bites, Porc Mobile, Red Hook Lobster, Hula Girl, AZN Eats, and Benethiopia from Fojol Bros (first stop). Navy Yard (M St. and New Jersey Ave., SE), where you’ll find Curbside Cupcake (Pinky 2’s first stop) and DC Kabob Grill. 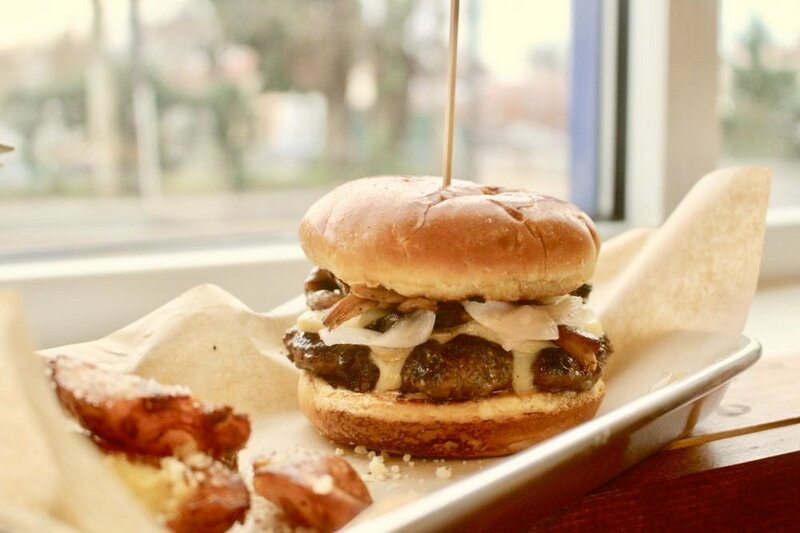 Northern Virginia, where you’ll find Maple Ave Xpress (Tysons), the Big Cheese (Ballston), Choupi Crepes and Tasty Kabob (Rosslyn), Willie’s Po Boy (Courthouse), and District Taco and Seoul Food (Crystal City). State Department/West End area (21st St. and Virginia Ave., NW), where you’ll find Tasty Kabob, Basil Thyme, and Carnivore BBQ. Union Station (First St. and Massachusetts Ave., NE), where you’ll find Sang on Wheels and DC Empanadas.